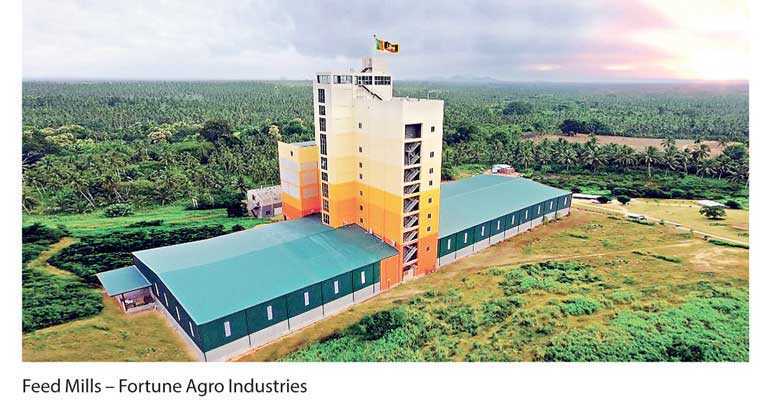 Gearing up for the company’s 50th milestone year in 2022, Crysbro, a pioneer in Sri Lanka’s poultry industry has initiated a line-up of sustainable business processes and plans to become a fully-fledged eco-friendly operation within the next four years with the vision ‘Crysbro eco-friendly 2022’. Crysbro is the only ISO 14001:2015 certified poultry company in Sri Lanka. The certification sets out a framework that a company or organisation can follow to set up an effective environmental management system. As one of the pioneering responsible poultry players in the market, Crysbro already operates within a framework of environmentally friendly approaches. The company’s sustainable framework rests on the pillars of energy efficiency, efforts to minimise the negative impact on the environment and striving for economic sustainability, consequently making Crysbro the first ever poultry player to adopt an environmentally friendly production process. Driven by the Chairman/MD’s vision ‘Farm to Fork’, the company, is committed to implement a production system that relies on a more ecologically friendly process that preserves the health of the ecosystem as well as the people involved to produce naturally grown poultry products. “Sustainable use of resources and effectively managing our impact on the environment are going to be key aspects of business success in the near future. We envision a business process that is both responsible and economically viable through the adoption of inventive solutions to existing industry wide challenges in terms of waste disposal and energy usage. Crysbro is the only Poultry Company in Sri Lanka to have obtained the ISO 14001 certification in addition to six other Credentials. The adoption of all these processes translate into producing natural, safe and fresh poultry products,” commented Crysbro Group of Companies Senior Marketing Manager Amores Sellar. Exploring solutions to problems arising from unsystematic disposal of chicken litter and unwanted chicken parts, Crysbro has adopted a recycling process which incorporates using latest technology to recycle unwanted chicken parts as an ingredient to produce chicken feed. Moreover, the Company is set to launch an alternative energy system fuelled by Chicken Briquettes, which are generated from compressed chicken litter. Fortune Agro, a subsidiary of Crysbro will become the first ever feed mill to introduce an alternative green source of energy in the form of Chicken Briquettes to the industry. Crysbro implemented an annual event to honour the most eco-friendly place of work via the ‘Haritha Sathkaraya’ concept to encourage the entire employee base to become accustomed to an eco-friendly corporate system. While remaining committed to ‘going green’, Crysbro consistently takes action to ensure economic sustainability of employees and other stakeholders. Accordingly, the company’s Corporate Social Responsibility (CSR) commitments include awarding scholarships to employees’ children, providing financial assistance to children who excel academically and the provision of books and other stationary. Assisting the farming community with which Crysbro closely works, the company conducts vocational training programs, academic programs and provides various counselling services to schools. Crysbro’s ‘Praja Aruna’ program provides assistance to build and refurbish employees’ homes while also investing in infrastructure development in rural areas. The company’s ‘Diri Saviya’ program benefits small and medium farmers through the provision of business opportunities, business management knowledge, technological awareness, chicken feed and loans. The company buys the farmers’ broiler chicken and provides them with a portion of the revenue. Through the ‘Suwa Shakthi’ program, Crysbro offers medical benefits to employees, conducts medical camps and contributes to developing community hospitals. Crysbro ‘Next Champ’ is an award ceremony that recognises and rewards upcoming young sporting talent in the nation. Established 46 years ago, Crysbro has grown at a steady pace to become a Group of companies with 6 subsidiaries and an employee base comprising 1,100 individuals. Crysbro operates among 17 business locations and markets 39 poultry products. Crysbro uses world class technology and a computerised system to ensure the high quality, nutritious value and the safety of its products in the most natural way.